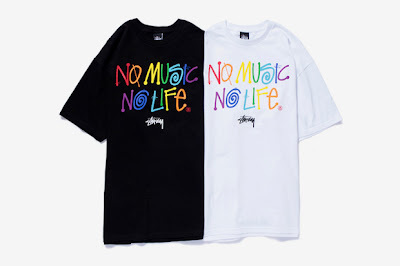 Felt like this upcoming STUSSY x Tower Records collaboration shirt captures J-Hop's mood when he is posting/tweeting about music - so I had to share it! Seriously though - I like it when Stussy goes for the more 'minimalistic' branding/graphics as they do in this collab. Additional pictures from the capsule release here.